I dont know why, but everytime I go out somewhere, even for work or before when I was studying, I always carry a huge bag and 80% of my bag's content is mostly makeup/kikay kit. That is the reason why I always have to buy a bag after maybe 3 to 4 months because I put a lot of things in them. One of my "must haves" in my bag are my makeup brushes. I dont really know why but to be honest, I carry with me a huge pencil case and this is where I put the brushes that I bring. 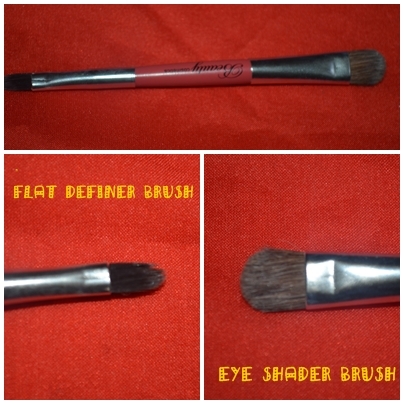 I have brushes for my eyebrows ( for kilay emergencies), eyeshadows and powder brushes. It might see ridiculous but I tend to feel very uneasy if forget to bring my brushes. I do think that it is quite inconvenient to bring a huge pencil case with my brushes inside them plus it is a little heavy and takes up a lot of space. It came in a pink pouch. I was actually surprised that it was smaller than I expected. The picture in Facebook looked bigger but when I checked the picture again, it does say that it is 5 inches. The case is very small and compact.It hardly takes up any space. It is cute and stylish as well. 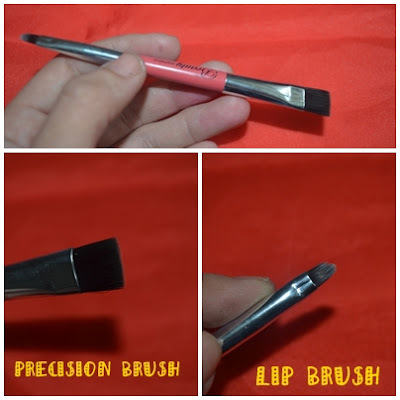 I use the precision brush to smudge my eyeliners and it is flexible enough that it can smudge the product without making it look muddy. I use the lip brush to line my waterline. The angle brush is good for eyebrows. However, it picks up a lot of eyebrow powder so be sure to swipe some of it off at the back of your hand before using it on your eyebrows. 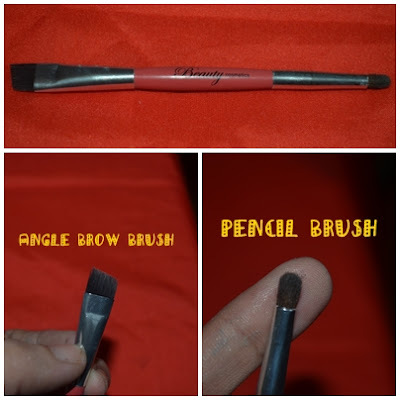 The pencil brush is great for applying eyeshadow on the crease area. I am not really a fan of the eye shader brush. I think it is not dense enough to pick up color. 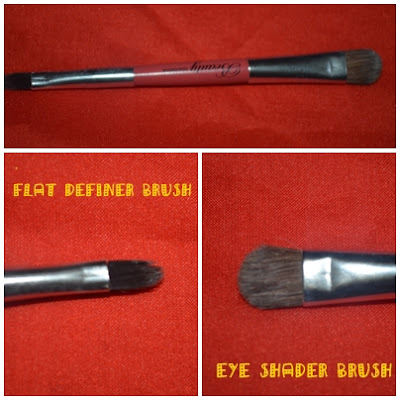 I use the flat eyeliner brush to apply eyeshadow to the inner corner of my eyes. Of all the brushes in this kit, this is my favorite. Both are dense enough to pick up color and transfer the color to my lids. Using the angle shading brush on my outer corners really makes a difference and makes making a smokey eye look super easy. 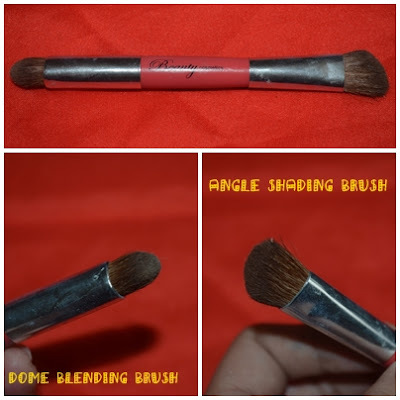 I use the dome blending brush to blend my eye shadows especially on my crease and brow bone as well. I recommend this to people like me who are on a budget but looking for good eye shadow brushes or to anyone who travels like to keep an eye brush kit handy. All in all, I like this a lot. I don't have to carry a lot of brushes anymore. I haven't tried brushes from Sigma and other more famous brand of brushes but I can definitely say that I will continue using these brushes.